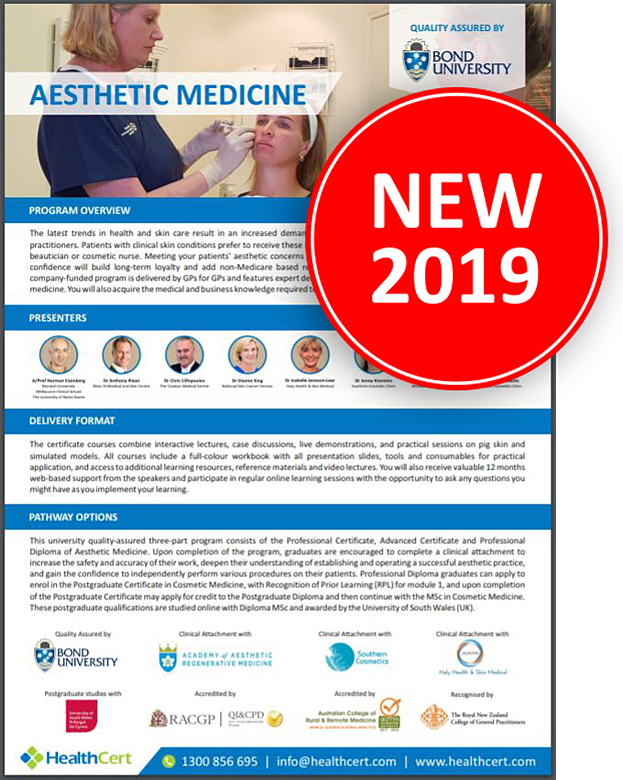 The Advanced Certificate of Aesthetic Medicine is designed to meet the needs of medical practitioners who are interested in increasing their clinical knowledge in aesthetic principles and the safe practice of latest evidence-based aesthetic medicine procedures. 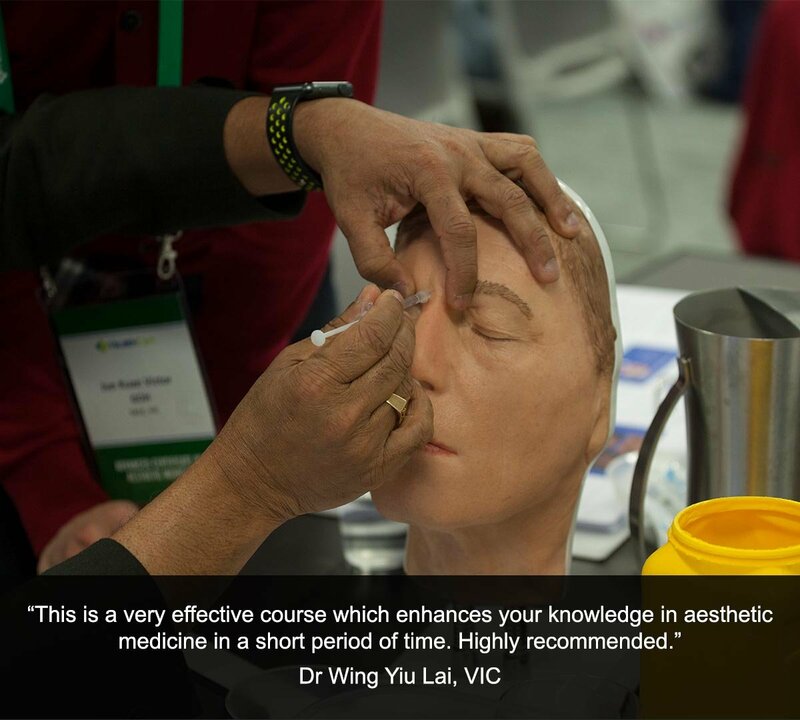 The two-day face-to-face course combines interactive lectures, case discussions, live demonstrations, and practical sessions. 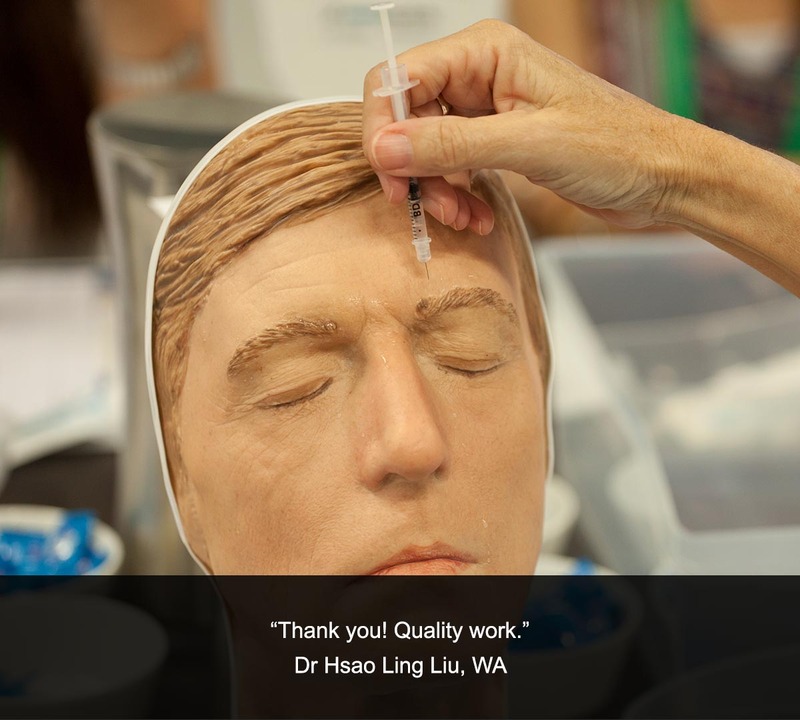 Topics covered include laser physics and laser safety, hair removal techniques, facial nerve blocks, management of vascular complications, use of botulinum toxin (including masseters, Nefertiti lift, bunny lines and gummy smile), dermal fillers for the cheeks, tear troughs, chin, jaw line and hand rejuvenation, selection of appropriate cosmeceuticals for various clinical conditions, marketing of the aesthetic services. 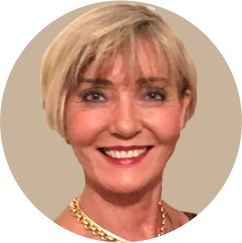 This course is the second part of the three-part Professional Diploma of Aesthetic Medicine. The education pathway is Professional Certificate of Aesthetic Medicine, Advanced Certificate of Aesthetic Medicine and Professional Diploma of Aesthetic Medicine. 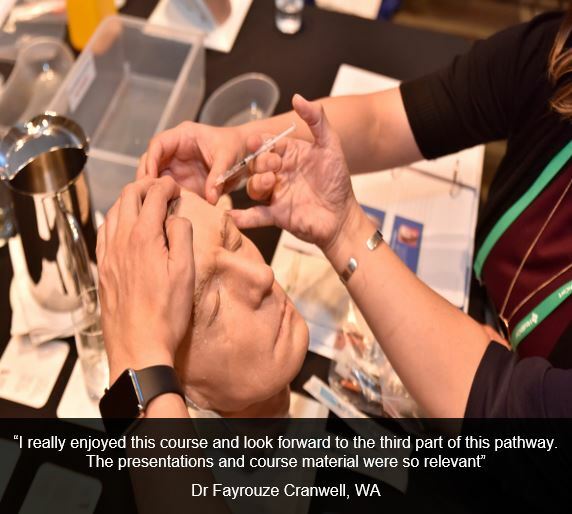 The Advanced Certificate of Aesthetic Medicine will meet the needs of medical professionals who are interested in enhancing their clinical knowledge in aesthetic principles and the safe practice of the latest evidence-based aesthetic medicine procedures. 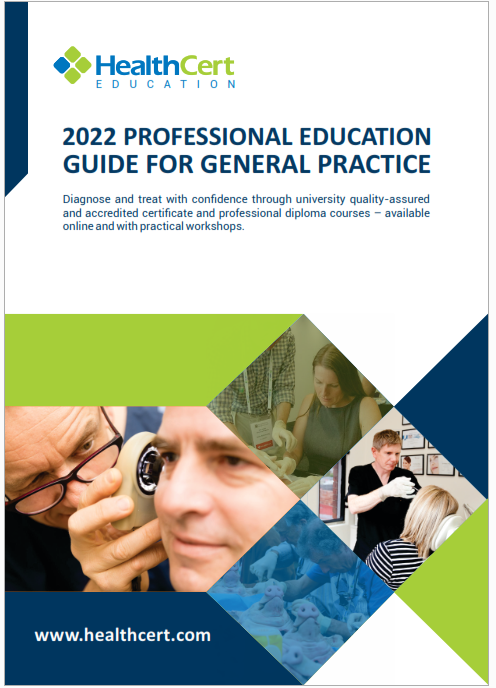 Ideal for practitioners who are considering working in the field, the course provides a new level of confidence and competence relevant to primary care, enabling participants to integrate cosmetic services into their day-to-day work. The course is suitable for general practitioners and International Medical Graduates. Participants must have completed the Professional Certificate of Aesthetic Medicine (or a qualification deemed equivalent) and HealthCert also recommends successful completion of at least 25 cases of aesthetic medicine prior to enrolment. Professionally accredited qualifications and prior studies may be recognised for entry into this course. Please send an email to credit@healthcert.com for an individual assessment of your prior qualifications and experience. 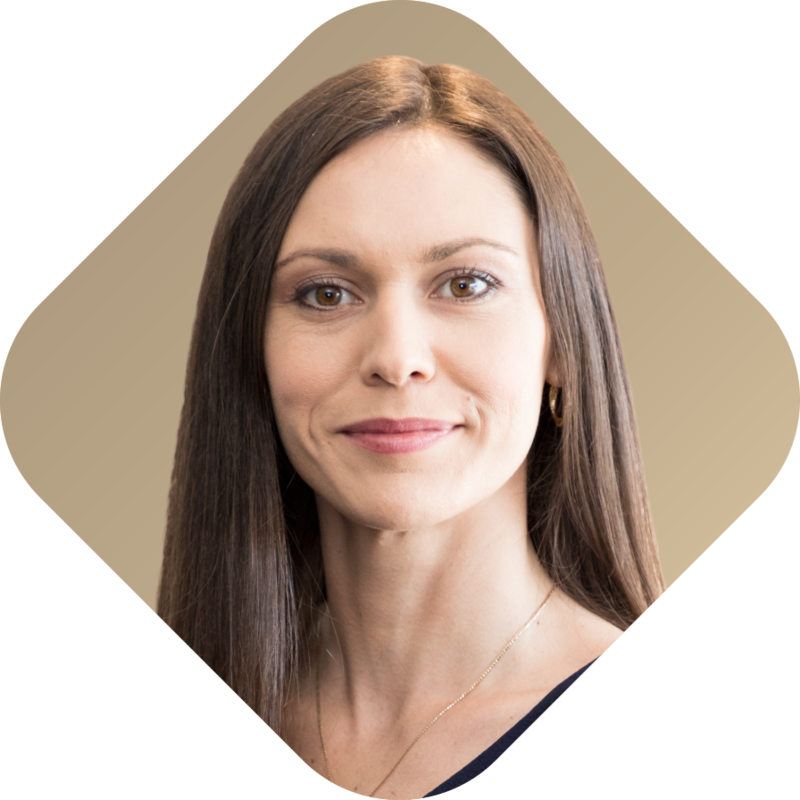 This email should contain information about your educational history and work experience that specifically pertain to the content and procedures covered in the Professional Certificate of Aesthetic Medicine. Please include any applicable certificates and course outlines from previous education. The relevant Course Chair will make a determination on your application within three working days. 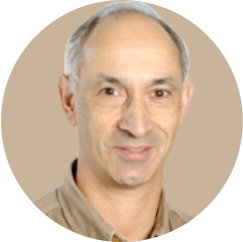 For over 40 years, Associate Professor Norman Eizenberg has been one of the world’s most innovative and productive anatomists. 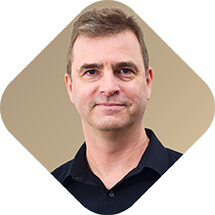 Norman has coordinated anatomy teaching programs to medical students and surgical trainees at both the Melbourne and Monash Universities. He is also a general medical practitioner. Norman is leader of the revolutionary an@tomedia program, a comprehensive, computer-based learning platform that explores anatomy from multiple perspectives. 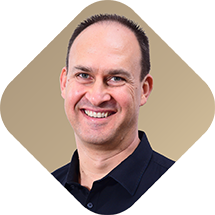 He was awarded the 2000 Universitas 21 teaching fellowship for educational innovation in recognition of his work on an@tomedia, and the 2006 Meritorious Service Award from the Royal Australian College of Dental Surgeons. Norman’s major areas of research and scholarship are in medical education (including student learning of anatomy) and in anatomical variations (including their surgical implications). The Advanced Certificate of Aesthetic Medicine is designed as a face-to-face course that is supported by online materials. There are eight units in a HealthCert Advanced Certificate program. Course learning materials will be available for a minimum of 15 weeks. There will be pre-reading activities, an intensive weekend workshop with expert demonstrations and practical hands-on activities, online materials and further readings, individual assessment tasks and finally two online examinations. HealthCert recommends completion of the assessment at your convenience within three months of the completion of the course. This course is the second stage of the diploma pathway. The full pathway is: Professional Certificate of Aesthetic Medicine, Advanced Certificate of Aesthetic Medicine, Professional Diploma of Aesthetic Medicine. Clinical Attachments are optional and available on a 1:1 basis. 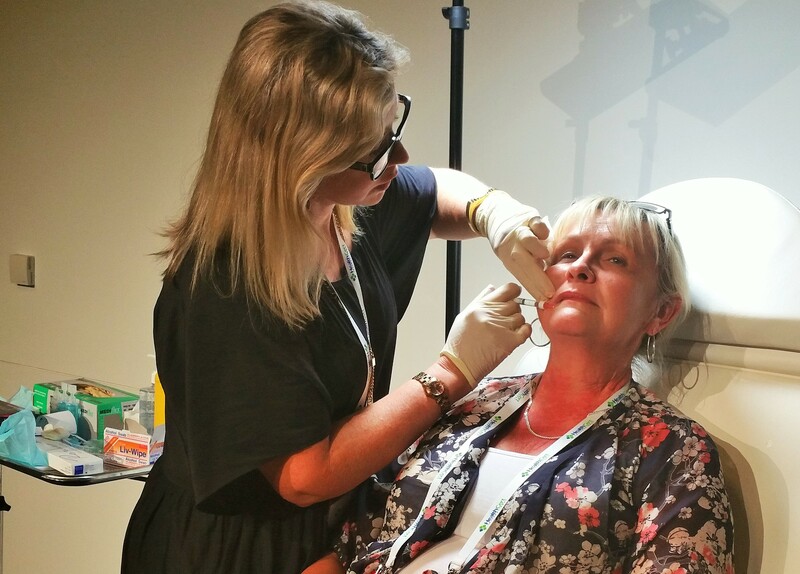 These provide the opportunity to observe Aesthetic Medicine and ask questions of the expert performing the procedures. 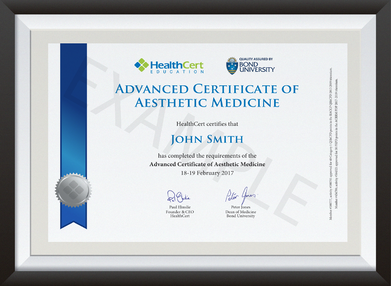 HealthCert certificates are awarded for participating in clinical attachments. Many doctors find this a very valuable learning experience. 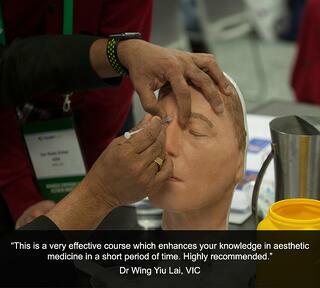 This is a very effective course which enhances your knowledge in aesthetic medicine in a short period of time. Highly recommended. 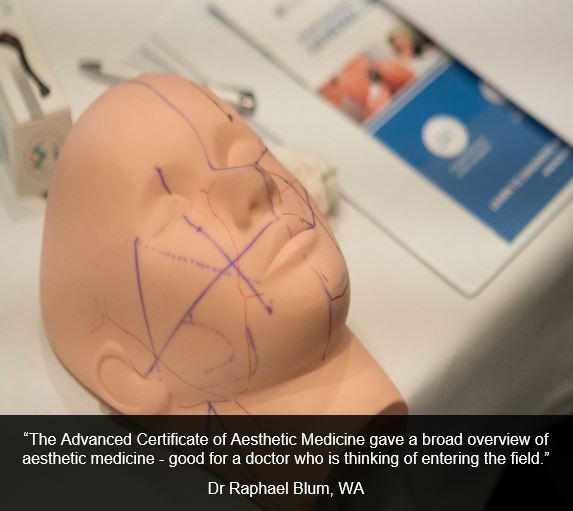 The Advanced Certificate of Aesthetic Medicine gave a broad overview of aesthetic medicine - good for a doctor who is thinking of entering the field. I really enjoyed this course and look forward to the third part of this pathway. The presentations and course material were so relevant! The course was well planned and so informative and interesting. Well organised with a great team to keep me on track. Lots of new information and so much fun! Thank you. 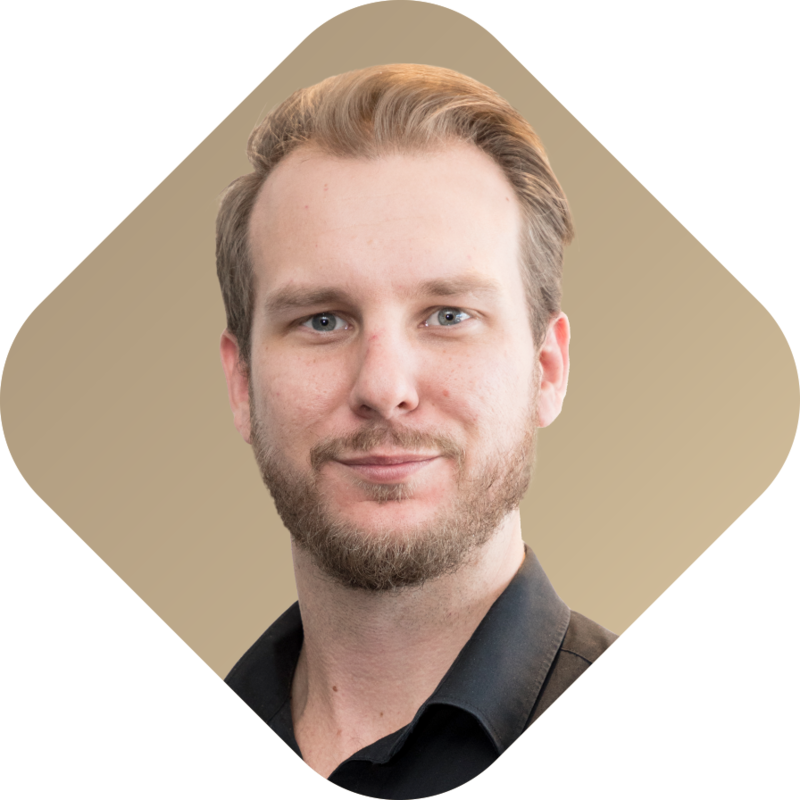 Having completed six HealthCert courses now, I am feeling professionally confident and am able to consider a future in aesthetic medicine. 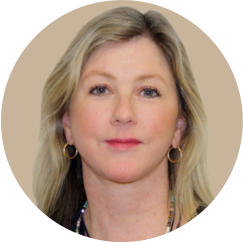 I have gained valuable knowledge and confidence in my subspecialities of interest. The courses have allowed me to develop and grow professionally as well as network with some fabulous professionals. 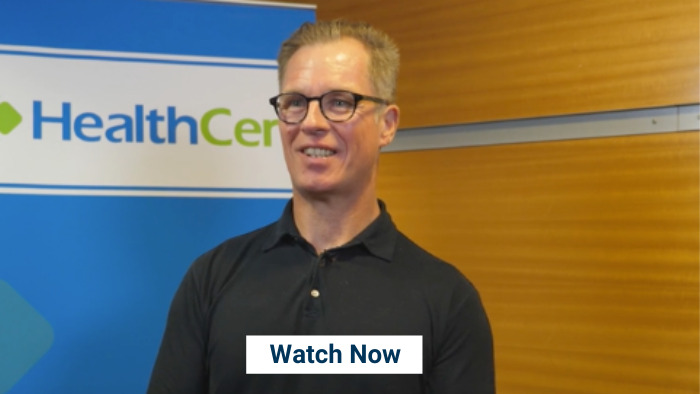 HealthCert certificate course graduates can receive access to Anatomedia, an interactive online learning program in anatomy, for an annual fee of $99 instead of $297 if subscribed by 31 December 2019. 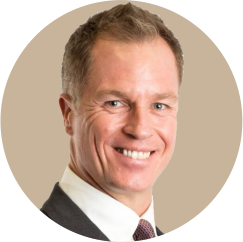 Advanced Certificate of Aesthetic Medicine participants also receive eight weeks complimentary access from the date of attending the course. The complete self-learning resource teaches anatomy of the body and contains videos of various surgical procedures. If you qualify, please contact us to receive the special access code.